If you think your child has special educational needs, or they’ve already been identified as SEN, you’ll have lots of questions and you’ll be looking for ways to support your child. In this section you’ll find lots of information, advice and tips, including how to identify if your child has special educational needs, how to make sense of the SEN Code of Practice, settling your SEN child in school, how clinical psychologists can help and how you can support your SEN child’s learning at home. 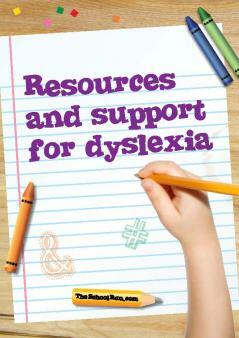 The Dyslexia Toolkit for Parents is an ebook full of practical resources that you will be able to refer to over the coming years to support and assist you through the various challenges of dealing with the schools, the authorities... and the many decisions you will have to make in order to best help your child. With step-by-step advice and real-life case studies throughout, this lifesaver of a resource will tell you exactly what you need to be doing, exactly what you should expect, and what to do if you're not getting the support your need. What is dyslexia? Who does it affect and what are the key signs a child might be dyslexic? The Resources and support for dyslexia pack offers a complete overview, from how dyslexia is diagnosed to at-home support strategies, expert tips to encourage a love of reading and links to further resources and advice. Living with an ADHD child can be frustrating but we have strategies to help in this helpful eBook. You will learn about managing ADHD with your family life, how to help your children and their ADHD sibling, recognise signs and symptoms, find alternative treatments and much more. 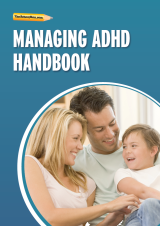 If you are worried about what to do, or where to turn for advice, the Managing ADHD Handbook is just what you need. Learn how to help your child with their behaviour, and you’ll soon see the benefits for family life. We’ve teamed up with parenting expert Sue Atkins to give you strategies, tips and resources on how to manage the type of behaviour problems that can stem from ADHD, and put them all together in a handy eBook. Plus you’ll also find 10 enjoyable activities to do with your child, to keep them engaged and interested in learning while having fun at the same time.